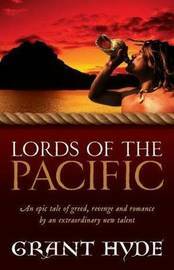 In the tradition of Wilbur Smith and Patrick O'Brian comes an epic South Seas adventure. The year is 1793 and having suffered at the hands of Tonga's evil King Tui'puloto for too long, the Island Nations of the South Pacific are poised on the brink of civil war. Born and raised in Sydney's Maroubra, Grant Hyde first worked as a clerk for his bookmaker father until he was graded with the NRL's Eastern Suburbs Roosters (Sydney Roosters) in 1989. He went on to work as a hotel manager, gym instructor, building project manager and real estate agent, all with varying degrees of success. Aside from writing, he is currently a part-time Qantas baggage handler, coach to the Maroubra Lions Rugby League team and a personal trainer. He lives in Pagewood, Sydney, with his wife and two children.